Campus: The BCET is sited on the Dehradun – Chakrata Highway in Village Central Hope Town at Post Selaqui in District Dehradun, Uttarakhand. The BCET is spread over in around 20 acres of land. 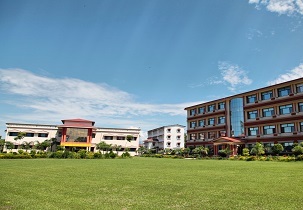 The campus is 20 km away from Dehradun Railway Station and 45 km from Jolly Grant Airport. Under Graduate Courses B.Tech (Bachelor of Technology) – 4 years:- Computer Science & Engineering, Information Technology, Electrical & Electronics Engineering, Mechanical Engineering, Civil Engineering. Students & Faculty: The BCET offers the admission over 300 seats as the annual intake capacity of all programmes. The college has a team of 37 faculty members from all departments. Facilities: The campus provides the computing facility with wi-fi & broadband internet connection, well stocked library with over 20000 volumes, recreation facility, classrooms, hostels, seminar hall and conference room. 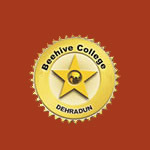 Activities: The BCET campus organizes the seminars, annual day, conference and co-curricular activities. The students participate in various sports and extracurricular activities. The BCET is offering the admission through below criteria: For B.Tech: The admission in B.Tech course is based on the score in JEE (Mains). Seat distribution: General seats 85% (50% Uttarakhand seats + 35% all India seats) and 15% management seats. Admission on general seats would be made through the counselling conducted by the university and admission on management seats would be made directly by the institute.